Writing a crime series and keeping each novel fresh is always a challenge for crime writers. 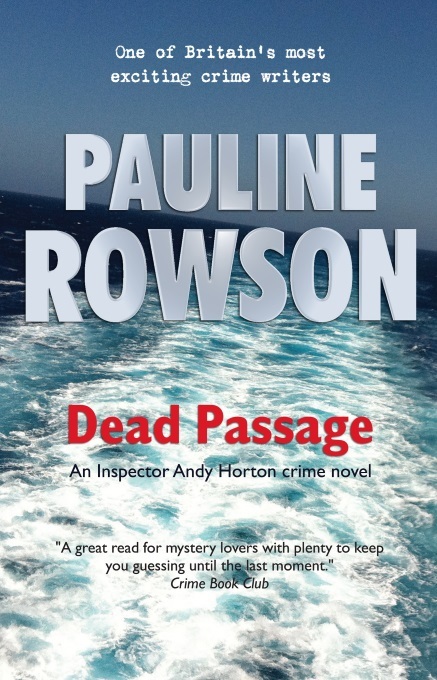 There are now fourteen in the DI Andy Horton series with the latest, DEAD PASSAGE, published on the 18 October 2018 in paperback, as an e book and on Amazon Kindle. 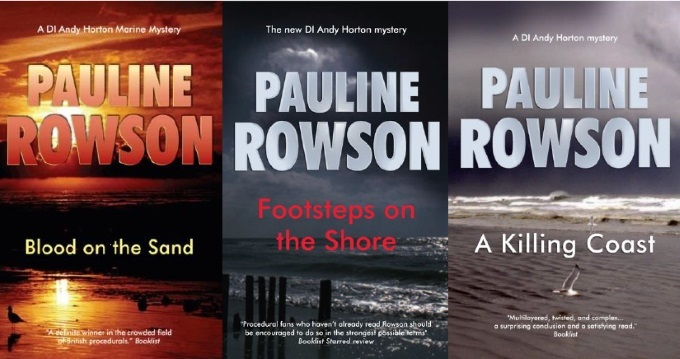 All the DI Andy Horton crime novels are set against the backdrop of the sea in Portsmouth and on the Isle of Wight and in each novel Inspector Andy Horton and his colleagues have a new murder mystery to solve. Inspector Andy Horton was first introduced in TIDE OF DEATH, which opens with his second day back in Portsmouth CID following an eight month suspension on a charge of gross misconduct. Determined to prove his innocence of the charges that have wrecked his career and his marriage Horton finds his personal investigations sidelined when the naked body of a man is found on the beach. Aided by Sergeant Barney Cantelli, Horton sets out to find a killer who will stop at nothing to cover his tracks. Since first appearing on the crime fiction scene in TIDE OF DEATH in 2006, DI Andy Horton has gone through many trials and tribulations in his personal life and solved many complex murder cases. So how does a writer keep the series fresh and the central character of interest to readers? Readers buy my books because they enjoy the style, the setting and reading about the same characters, but the challenge is how to keep faithful to my readers and make each novel fresh and different? For me creating a central character with a back story, which can be progressed with each new novel, is one way of introducing a fresh element. DI Andy Horton has the continuing mission, along with all the accompanying internal strife, of trying to discover why his mother (Jennifer) abandoned him at the age of ten, where she went and what subsequently happened to her. For all his childhood Horton has been told that his mother ran off with a man and didn't want a kid in tow and he's believed it, until in book number three in the DI Andy Horton series, THE SUFFOCATING SEA, his involvement in a murder investigation reveals something about his mother that throws that tale into doubt. As Horton delves deeper he learns that Jennifer is suspected of being involved with a master criminal code named Zeus, who the Intelligence Directorate, Europol and Interpol are very keen to get their hands on and are eager to enlist Horton’s help in finding. But as the series progresses it is clear that this is not the case and there is a great deal more to Jennifer's disappearance than Horton has been led to believe. (I won't reveal what and spoil it for new readers). Then there is the question of Horton’s father. Who is he? Where is he? Is he still alive? Along with this there is Horton’s continuing struggle to gain regular access to his daughter, Emma, from an antagonistic former wife. While these elements must not be allowed to dominate the novel (and not all of them are in every novel) they keep the reader wondering what might happen and allow the development of subplots and other sides of Horton’s character to be revealed. The main character’s personal life does, to some extent, have an impact on the plots, but each novel contains a new murder mystery to be solved and that mystery is resolved at the end of each book. 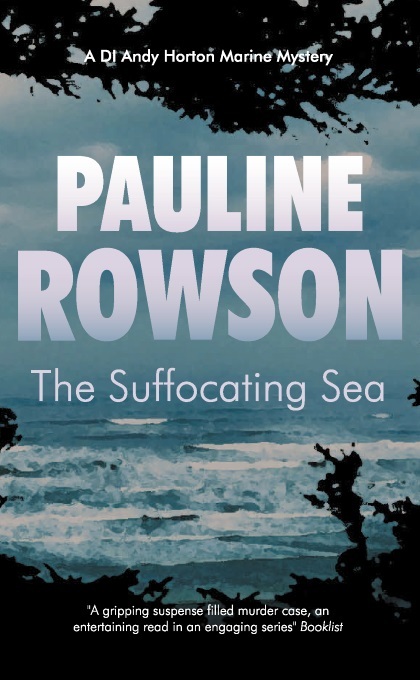 DI Andy Horton is based in Portsmouth CID with an abrasive alpha female boss, DCI Lorraine Bliss, who is introduced in novel three - THE SUFFOCATING SEA. DCI Bliss is a by-the-book copper while Andy is more instinctive and a risk taker, as a result the two of them will never see eye to eye. Along with the CID team of DCI Bliss, DI Andy Horton, Sergeant Cantelli and DC Walters there is also the Major Crime Team which deals with the homicide cases under the leadership of coarse and ambitious Detective Superintendent Steve Uckfield, so Andy is often working alongside the Major Crime Team which again gives the murder mystery investigation new dimensions. I also introduce officers seconded from other units, which in turn alters the chemistry between the characters and the ensuing dialogue. There is always plenty happening in the Solent for me to draw inspiration from, and there is a superb contrast of settings to draw on in the location including marinas, a thriving commercial port, an historic dockyard, active naval base, coastal shores and bays, so no shortage of ideas. Taking those ideas and turning them into plots that will have readers eagerly turning the pages and waiting for the next installment is the tricky bit. I enjoy writing a series and seeing the characters' lives unfold, and I hope my readers enjoy reading about DI Andy Horton, his struggles, successes and failures. I'm currently writing number fifteen in the DI Andy Horton series which might just be the final one. I only said 'might'.